Monday marks 200 days until Brexit Day, and with the October deadline for agreeing a deal with the EU fast approaching MPs are due to hold a debate today on how to legislate for a withdrawal agreement. Welsh First Minister Carwyn Jones is also in Westminster to deliver a speech to the Institute for Government think tank on Brexit and devolution. After the reports were handed to Ministers on 5 September, the final proposals by the UK’s four Boundary Commissions are expected to be laid before Parliament this week, possibly as early as today, for consideration by MPs ahead of a vote later in autumn. The Commissions were tasked with redrawing constituency boundaries to reduce the number of MPs from 650 to 600, and the proposals may require sitting MPs to eventually vote themselves out of a job. The inquests into the deaths of PC Keith Palmer and the other four victims of the Westminster terror attack open at the Old Bailey for a month of hearings with Chief Coroner Mark Lucraft. 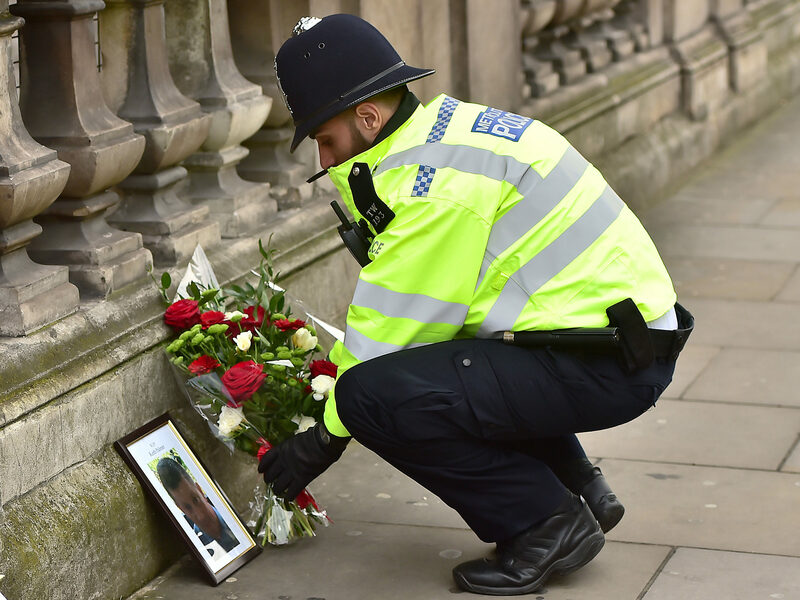 At a pre-inquest hearing in January, the QC for victims’ families, Gareth Patterson, called on tech firms to do more to tackle the spread of extremist material over social media. On Tuesday, Treasury ministers face departmental questions in the House of Commons where they’ll likely face a grilling on Operation Yellowhammer and the no deal contingency plans revealed in documents photographed in Downing Street last week. Chancellor Philip Hammond may attempt to deflect attention from the revelations and use the opportunity to make an announcement on the future of the Governor of the Bank of England after Mark Carney suggested that he’s willing to extend his time in Threadneedle Street. Amid a busy two weeks of visits and receptions for Prince William the highlight comes today with the launch of a new charity initiative called Mental Health at Work, which is designed to change how people approach mental health in the workplace. The Duke will launch the new platform, developed by the Heads Together and Mind charities, during a visit to Bristol. A week after it was announced that Crossrail’s opening would be delayed until next autumn, and following a £650m increase to the budget in the summer, Crossrail Chairman Terry Morgan and Deputy Mayor for Transport Heidi Alexander appear before members of the London Assembly’s Transport Committee on Wednesday. AMs will be seeking answers on the reason for the delay and the potential impact on business and commuters. Health and Social Care Secretary Matt Hancock addresses delegates at the UKactive National Summit. After setting out his vision for a more tech-driven NHS at NHS Expo last week, Hancock may use this opportunity to expand on how his department is working to tackle physical inactivity in the country and rising levels of childhood obesity and type 2 diabetes. Joining him at the summit are Labour Deputy Leader Tom Watson and Children’s Commissioner Anne Longfield. The Ig Nobel Prize Ceremony, an annual gift to gif makers everywhere, takes place at Harvard University on Thursday. Last year’s winner Marc-Antoine Fardin used fluid dynamics to ask whether a cat can be both a solid and a liquid, and in 2016 the prize was awarded to Tom Thwaites walking like a goat thanks to prosthetic extensions. On the final day of Parliament before the conference recess there are questions to Ministers from the Department for International Trade and a general debate on Proxy Voting on the agenda, which follows the accusation by Lib Dem deputy leader Jo Swinson that Conservative Party chair Brandon Lewis broke with the “pairing” convention during a vote on the EU Withdrawal Bill. As MPs have already voted in favour of a proxy voting system, the debate will be used to hear voices on how the system should work. Former Chancellor of the Exchequer Alistair Darling addresses Chatham House on lessons to be learnt ten years on from the 2008 financial crisis in the pick of several events taking place this week to mark the anniversary of the collapse of Lehman Brothers, which falls on Saturday. Senior representatives of the US, France, the UK, Germany, Saudi Arabia, Jordan and Egypt are expected to gather in Geneva on Friday at the request of UN Special Envoy for Syria, Staffan de Mistura. The talks are focused on the creation of a new committee to lead constitutional reform in the country and come amid rising tensions over the fate of the northern Idlib province – the last rebel stronghold in Syria. Donald Trump has issued warnings about launching what he calls a “reckless attack”, with the UN itself having warned of an impending humanitarian crisis. US Vice President Mike Pence and NASA administrator Jim Bridenstine take part in a live discussion, hosted by the Washington Post, on the new space race. Pence has made space exploration a key pillar of his Vice Presidency since taking office – at the beginning of last month he announced plans to create a United States “Space Force”, before discussing his hope of establishing a permanent presence on the moon by the early 2020s, with the eventual goal of landing on Mars. Party conference season kicks off on Saturday as the Liberal Democrats gather in Brighton where the burning issue will surely be reforms announced by leader Vince Cable last week and his ambition to turn the part into a “Movement for the Moderates”. The highlights of the opening day are speeches from education spokesperson Layla Moran and Brexit spokesperson Tom Brake. Both have been tipped as potential future leaders of the party. There are further headaches for Transport Secretary Chris Grayling as both South Western Railway and Northern Rail workers hold strike action as part of the long-running dispute over Driver Only Operated (DOO) trains. The walkout comes amid reports that Theresa May is now considering a major review of the UK’s railway network. In a packed day of sports fixtures, the Premier League, Sky Bet Championship, and domestic rugby union campaigns all continue, while Edgbaston also plays host to the NatWest T20 Blast finals. The Lib Dem conference continues Sunday with Deputy Leader Jo Swinson addressing delegates before Vince Cable takes part in a potentially awkward Q&A session with party members later in the afternoon. Cable also features in some noteworthy fringe events, the biggest being an interview with Faisal Islam of Sky News. And the Formula One season continues as racers take to the Singapore street circuit. With the championship now effectively a two-way fight between Lewis Hamilton and Sebastian Vettel, the German needs to take top spot on the podium in order to close the 30 point gap in the race for the title.